Eat your way through Spain’s capital of gastronomy on this guided 2.5-hour tasting and walking tour of Madrid. Let your guide be your culinary concierge as you journey through the east side of Retiro Park, stopping to try tapas dishes at gastropubs along the way. 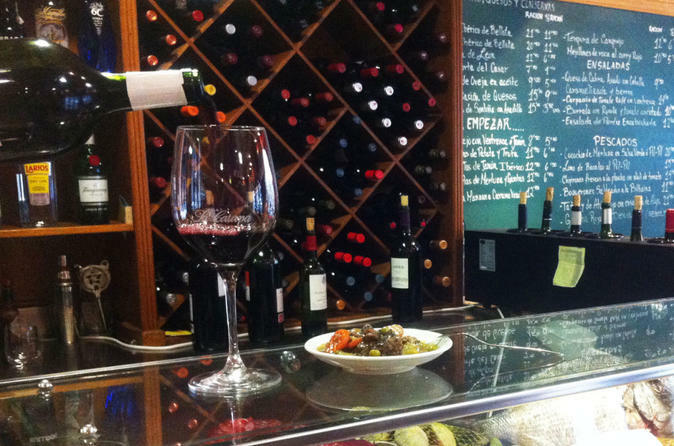 Visit five delectable tapas restaurants, and enjoy Spanish wine pairings. There are places where gastronomy reaches new heights without losing its down to the earth ingredient essence. They are across a tapas bar and a michelin restaurant. This places are so good that they are popular among the locals and rich and famous alike Spanish Royalty, First Lady, Actors like Harrison Ford etc. Once your satiated and inspired, continue exploring Madrid on your own, or with the new friends you made.